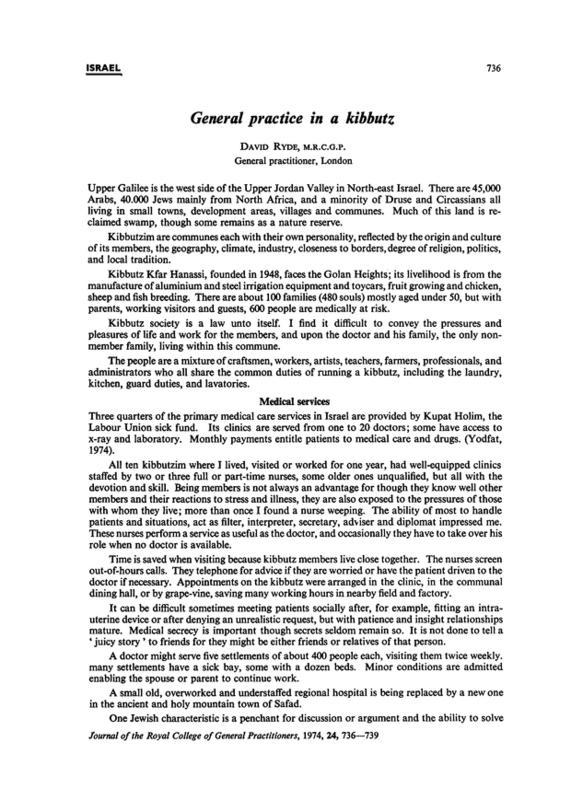 General practice in a kibbutz. J R Coll Gen Pract 1974; 24 (147): 736-739. You are going to email the following General practice in a kibbutz.